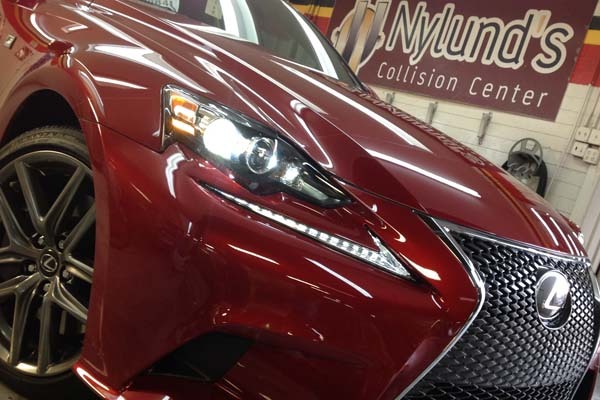 If you’re looking for comprehensive, state-of-the-art collision repair services in metro Denver, look no further than Nylund’s Collision Center! We repair vehicles to the highest industry standards, for the lowest rates and in the shortest time possible. Anyone can make similar claims, and many of our competitors do, but we have the history, the awards and the satisfied reviews to back ours up. For over 30 years we’ve consistently exceeded our guests’ expectations, and that’s the reason our guests return to us again and again for their collision repair needs. Peace of mind isn’t something you can put a price on. It comes from knowing that you’re being treated fairly which is why we offer peace of mind at no extra charge on every collision repair job we perform. We guarantee that you won’t be able to tell your car had repair work done because we specialize in ‘invisible repairs’. We also offer lifetime warranties to ensure that your collision repair work looks as good in the future as it does when you leave our lot. Stop by and ask to speak to Rob for a tour of our facilities. We are happy to show you our various Denver auto body services from our computers that precisely diagnose framework repair to our painting system that is unmatched in by any collision repair shop in Englewood, Highlands Ranch, Littleton, or any city in the Denver area. You will see why we are the leader in auto body repair!